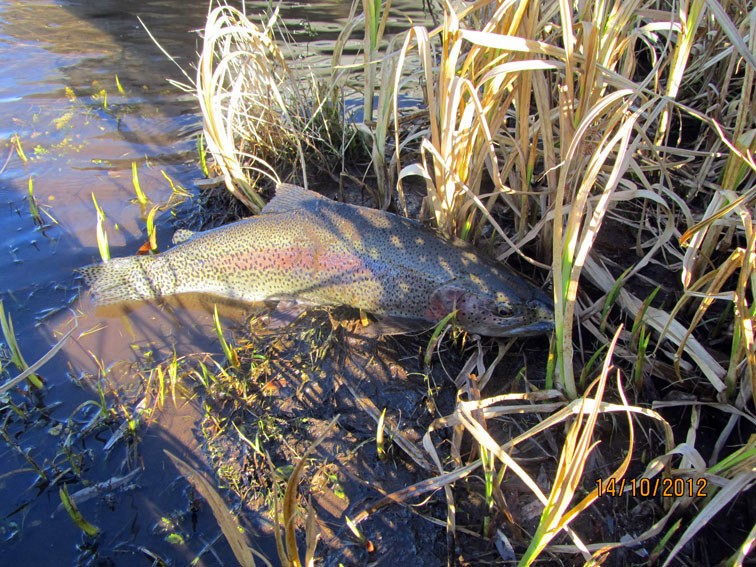 If you like the unhurried fishing in the remote river, this trip is for you. Visit Kamchatka, the country of the volcanoes and salmon. The area has no population; you can get here only by helicopter or ATV. 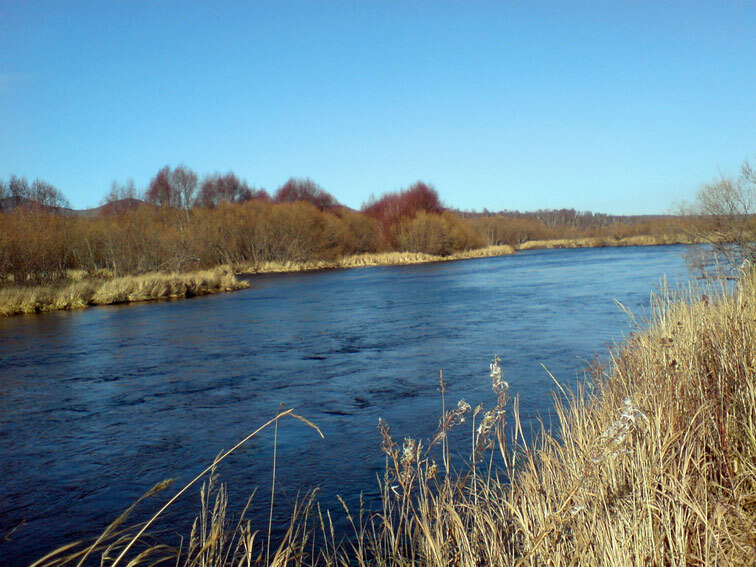 Khairyuzova River is one of the biggest streams of the Western Kamchatka, it is 265 km long. The river begins at the western slope of the Central-Kamchatka Ridge. It flows mainly to the west and joins the Sea of Okhotsk at the latitude of 57 degrees North, near the village of Ust-Khairyuzovo. There are two main sources of Khairyuzova — southern (Bystraya River) and northern (Tikhaya River). Both of these medium size rivers flow through uninhabited areas with no rods and no human dwellings. The name of the river in Russian means «quiet» — the opposite to the second main source of the Khairyuzova R, Bystraya (this name means «swift». The banks of the Tikhaya River are formed by tundra alternating with ridges and rocky ledges. In the middle reaches the river winds through the hills, forming holes and numerous riffles, pools and bends. Fishermen will find here a lot of great places for fishing. 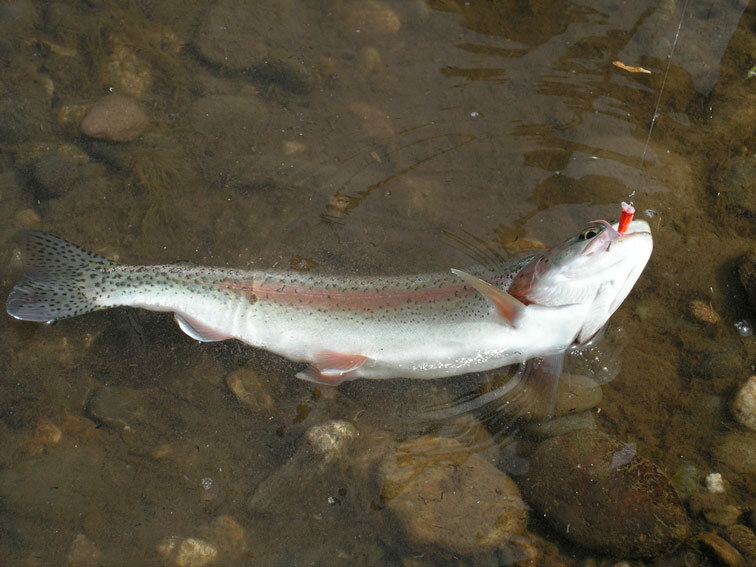 In the river there are rainbow trout (famous «mikizha» of Kamchatka) weighing an average of 1 to 2 kg. Some specimens exceed 3 kg. In the river there is also a lot of white-spotted char («kundzha»); the Dolly Varden char is not as numerous bus common. 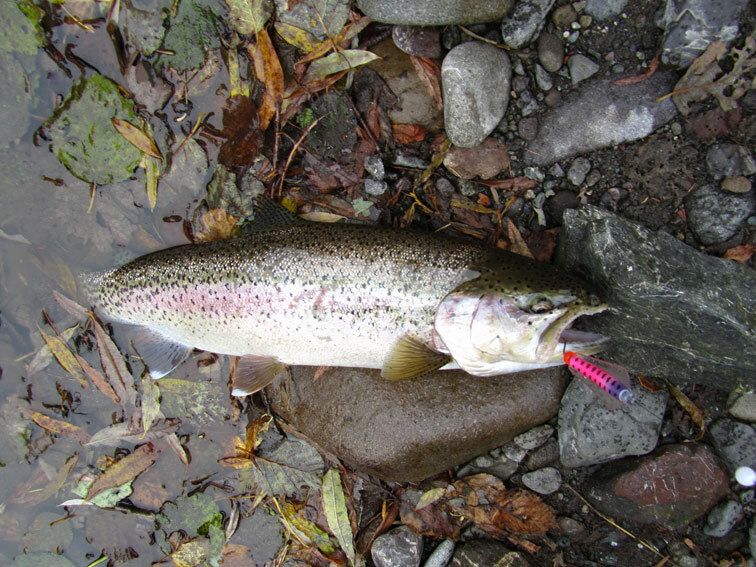 Depending on the season, in the Tikhaya there are runs of Pacific salmon, including chinook (June-July), cherry salmon (June-July), chum, pink, and sockeye (July-August), and coho salmon (August-October). The uniqueness of the Tikhaya River is unique microclimate formed by the towering mountain ranges. Even in the late autumn, when at the sea coast it is cold, windy and foggy, in these areas the weather is rather comfortable. 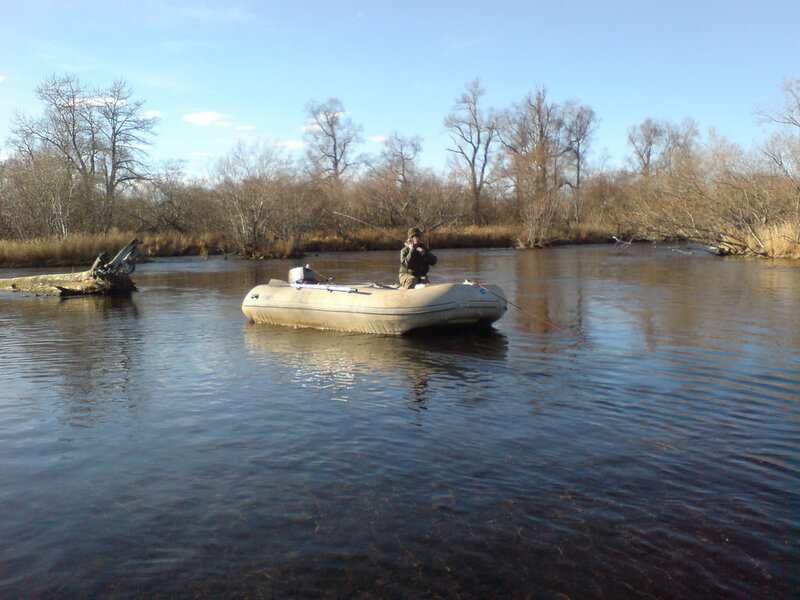 At the bank of the Tikhaya River (Khairyuzova) a comfortable camp is set up. Each two fishermen share a comfortable three-room camping tent (a single room with a folding bed for 1 person). The main camp facilities are: dining room, kitchen, shower, dryers for the clothes and shoes, electrical generator, sauna tent, and a restroom. Car to from Petropavlovsk-Kamchatski (PK) to Anavgai, ATV to the site. Return trip — ATV to Anavgai, car to PK. Car to from PK to Anavgai, ATV to the site. Return trip — helicopter to Anavgai, car to PK. Car to from PK to Anavgai, helicopter to the site. Return trip — helicopter to Anavgai, car to PK. The group will be able to choose any of these transportation options in advance. The area of the Tikhaya camp is not covered by the cell-phone network. Global Star sat phone is available at the camp. 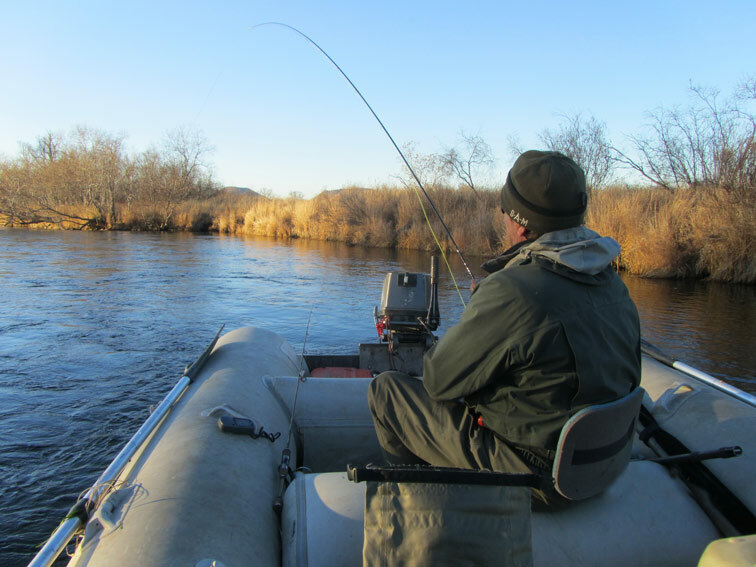 The fishing in the Tikhaya is legal only with flies and artificial lures with one single barbless hook.